Historic New England’s Everyone’s History series is giving Vermont’s agricultural traditions the starring role in a documentary slated to premiere in January. The film reveals how the national farmers’ fraternal order known as the Grange has contributed to the food culture of local communities for more than a century. With the National Grange celebrating its 150th anniversary this year, it’s an ideal time to highlight its role as an organization that has offered political, economic, and social support to rural communities since 1867. The Vermont documentary will be screened around the state and shown on local cable access stations. Historic New England is collaborating with the Middle Branch Grange in East Bethel and Riverside Grange in West Topsham to create the thirty-minute film, which celebrates the history and continued relevance of granges in Vermont’s agricultural heritage. To date, the project has received $8,100 in grants from Alma Gibbs Donchian Foundation, the Farm Credit Northeast AgEnhancement program, the National Grange American Arts and Culture Fund, Vermont Community Foundation, and the Williston branch of Yankee Farm Credit. “We are delighted to receive these grants to support a film that we hope conveys the powerful bond of community in the Grange and generates creative exploration of ways the Grange can remain a vital institution in Vermont,” said Charlotte. 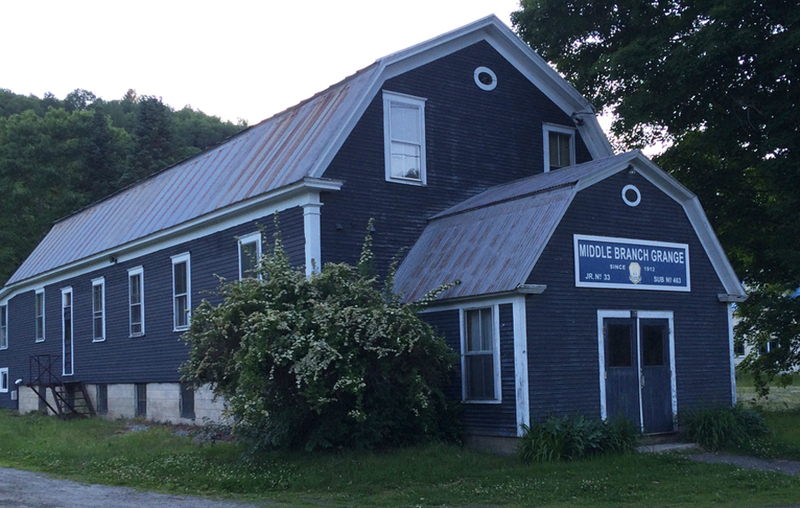 Historic New England is working with Ned Castle of Vermont Folklife Center, with guidance from the Preservation Trust of Vermont and the Vermont State Grange. Through Everyone’s History projects like this, Historic New England partners with communities and organizations to collect and share stories of life in New England in the twentieth century and beyond. Past documentary films in the series focus on topics such as the history of Boston’s Haymarket and the preservation of Vermont’s one-room schoolhouses.